Kelly's Sporting Goods department is very unique to hardware stores of today, it's like a trip to yesteryear! Kelly's still carries a full line of fishing gear, catering to the fishing of the area. Kokanee, Lake Trout (Mackinaw), Rainbow, Cutthroat and the local river fisheries to include Salmon and Steelhead gear. We carry an extensive selection of maps including the topographic Green Trails Maps for hiking and other recreation in Washington, and camping equipment you will need for outdoor recreation in north central Washington. 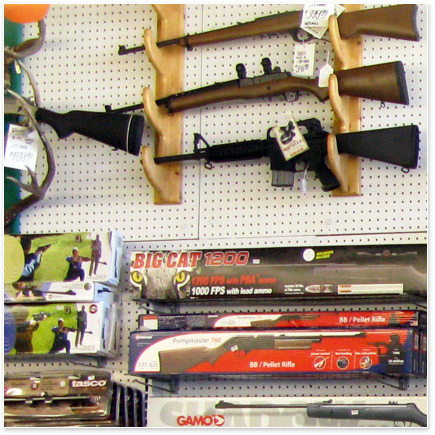 Kelly's also carries rifles, shotguns, handguns and a full line of ammunition and accessories such as cleaning supplies, gun cases, scopes, mounts and bases. Kelly's also special orders on a daily basis, almost anything you need! Federal Firearms Licensed Gun Transfer available.